One of the easiest ways to land freelance writing jobs is to be a one-stop, freelance writing shop. Following are three services freelance writers can offer their clients that will make it easier for them to use you over and over again. Some are brought on by the new media economy; others are mere conveniences that clients wish they had someone to handle. Social Media Marketing: Manage a Twitter Account. Do you use the social networking site Twitter? If not, you should as a freelance writer. Why? Because it’s quick and easy to set up, and you can offer to set up and manage the account for clients. When freelance writing jobs slow down, offering a peripheral service like social media marketing can take up the slack. Clients like it because most of them know that they should be involved in social media marketing, but they have no idea how to go about it. Twitter is the perfect social networking site to offer to set up and monitor because you “Tweet” in 140 characters (not words, characters) or less, which takes seconds, not minutes. Clients will be ever so grateful, and you will have added another income stream to your freelance writing efforts. Blogging: Set Up a WordPress Blog. One of the biggest types of freelance writing jobs to come down the pike in recent years is blogging. 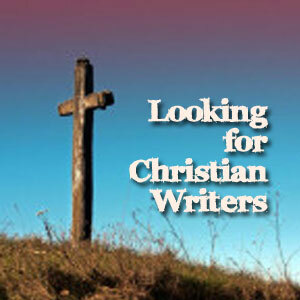 Most freelance writers blog. And, many of them do it in WordPress. However, many clients still slave away with HTML sites. But a WordPress blog is easy to set up and learn how to maneuver in. And, if you don’t know how to set it up, you can still offer the service to clients. How? By outsourcing it — usually for less than $100 – much less. Simply place an ad on a major site like Craigslist. Many web designers troll this site looking for assignments like setting up WordPress blogs. If you charged the client $150 to set up their WordPress blog and you outsource it a freelance web designer for $50 or less, that’s a $100 or more profit. Online Marketing: Article Writing and Submission. Article marketing is one of the best, free online advertising methods you can use to get the word out about a product/service, drive organic traffic for years to come, build subscriber lists and convert tirekickers into buyers. 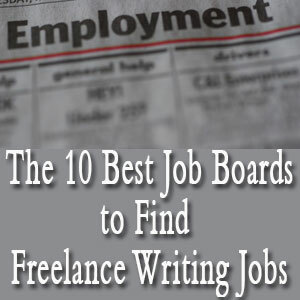 And it’s a great service to offer that will get you even more freelance writing jobs. By explaining how article marketing works – ie, laying out the above benefits mentioned above – you can offer the service to clients. In addition to writing the articles, you can offer to set up accounts for them at article directories and manually submit articles for them -for an additional fee. It’s hands-off marketing for them that pays big dividends. There’s no need to ever worry about landing freelance writing jobs – if you become an all-inclusive freelance writing shop. Offering services like these put you on this road. May be reprinted with the following, in full: Yuwanda Black is a successful freelance writer who heads New Media Words, an SEO writing and internet marketing outsource firm. She has publised 13 ebooks to date. To learn everything you need about how to start a lucrative freelance writing career, log on to Work-from-Home-Writing-jobs.com for first-hand information. 1 Comment on "Freelance Writing Jobs – 3 Services Writers Can Offer Clients to Make More Money"